Hey guys, I have a used Hyundai i30 2011 CRDi Diesel. I am not sure if the EGR has ever been cleaned on it and I don't think it has. The car hasn't showed any bad signs or error codes towards the EGR valve. However, I don't want to leave the EGR valve to get dirty and then causing other problems. So do you think I should go on about cleaning it even though no errors are showing and the car is running fine? or Should it be clean it every so many miles? Following a discussion with my dealer re a very smelly exhaust and smoke on startup, my 2010 Crdi had the EGR cleaned (by the dealer) at about 60K. They said it was very dirty. From memory a new valve was over $1000 (maybe wrong, it was a while ago). Anyway, it made no difference. A change to BP fuel did reduce the smoky starts but it has returned a bit. Just putting up with it now (90k) . . .
Cleaned my egr at 60tkm if I remember correctly. Just to see its condition. The actual valve was not bad, but the egr cooler was dirty. Cooler is between valve and intake manifold. That means that the intake manifold is also filled with same crap. I guess I will take the egr out again somewhere 150-200tkm and also take the intake manifold out and clean that also. If I still have this same car. I am currently at 125tkm. Never had any issues with the egr, fault codes etc. BC - smoky starts may indicate that the glow plugs are not working properly. Better check if they the are OK. Do you get black or white smoke? White smoke indicates to old/broken glow plugs. I recommend checking them. If the plugs are broken white smoke should come with cold engine. When engine is hot, there should be no white smoke. Colder the weather (colder engine) the more white smoke you get. Egr cleaning is easy DIY job if you have right tools. It just takes some time as you need to remove hoses etc to get your hands to the egr. If you remove egr cooler you have to drain coolant also. That is also easy job. You can read my full service story from here: 1.6crdi (2008) DIY servicing: Coolant, EGR, cleaning, brake & clutch fluid etc. Sorry I meant white smoke comes out as the engine is heating up because its cold outside. And when you say "glow the engine before starting" do you mean turn on the ignition but don't start the car and wait for it for a couple of seconds, then start the car? - that's what I do. Sorry I meant white smoke comes out as the engine is heating up because its cold outside. If you mean you get a slight white vapour as you warm up the engine that can be seen if looking at the exhaust pipe then that would probably be ok. But if you mean white smoke that is usually enough to see in a rear view mirror then this is not normal. I too had the white smoke issue and mine was a couple of dud glowplugs, but they only tested as dud when they were cold so if I drove to the dealer and had them tested they seemed ok but if they were tested before starting the car they failed. And when you say "glow the engine before starting" do you mean turn on the ignition but don't start the car and wait for it for a couple of seconds, then start the car? - that's what I do. Yes yes I know exactly what you're talking about. The light on the dashboard's shape is red and it looks like a twisted wire with two loops, correct? The smoke is white. The glow plugs were checked by the dealer and all ok. However, as per another post on this thread, they're probably only failing when cold. Put up with it for the moment . . . I took out the entire intake system in my 2013 crdi at 60 k km. I still cleaned all though... greased the buterfly's, cleaned, reinstall.. I changed the glow plugs at 37k km though... now.. 2 years on them no issues. The glow plugs should be functional for around 100,000km or more. The advantage of the early change is that they are easy to remove. By 100k, it is more tricky and needs to be done with the engine hot. EGR spray cleaner used when doing a service will usually keep the system clean. Otherwise seal it with a plate. At my car, at 36k, one plug was dead and the other 3 were also almost dead. 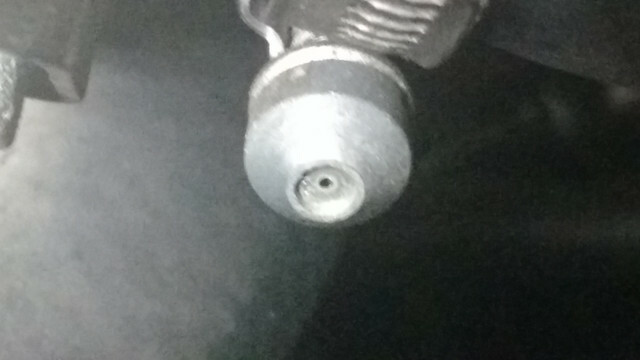 I noticed because the outside temp was arround 0 degrees Celsius and the car started in 3 cylinders. I have installed 4 new NGK plugs at the time and no problems yet. I have 95k km now. About EGR, you cannot plug completely as the system will trigger an fault and will cut power( limp home mode). At least at newer cars. I have installed 4 new NGK plugs at the time and no problems yet. I have 95k km now.. Plate has a small hole to overcome that problem. Please! Do you know the hole diameter? I would do everything to stop that crap going back to the engine..
EGR spray cleaner used when doing a service will usually keep the system clean. 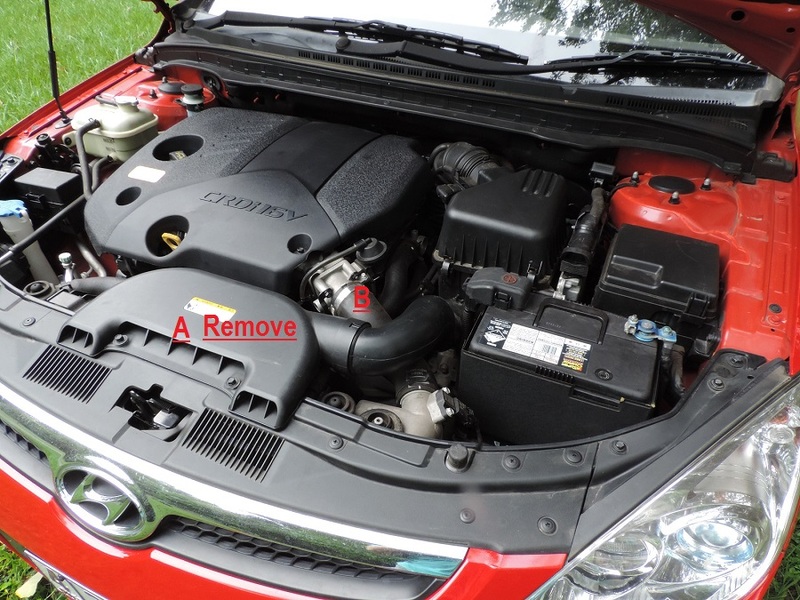 If you get a few minutes I (for one) would appreciate your regime of how and where (with a photo) you would introduce the spray of some upper engine cleaner in the diesel i30 engine. Loco, most of the time! When you use the spray you always need to miss ( go in after) the mass air sensor, to avoid damaging it, and also to avoid a volatile residue build up in the turbo-intercooler circuit. 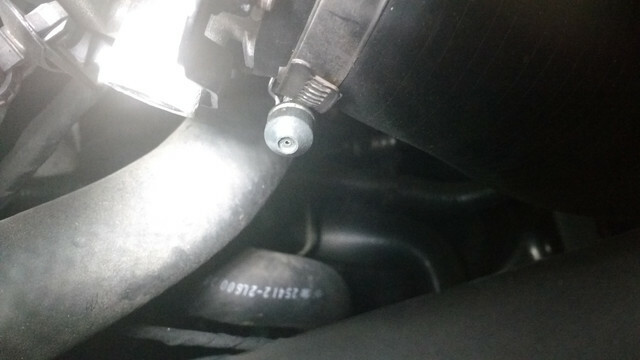 Remove the air intake 'A' (the 2 X 10mm bolts) purely for the sake of convenience to get at pipe 'B'. Loosen the clamp on either end of the rubber pipe 'B' and squirt EGR cleaner in there. Work with the engine at about 1500 rpm so that there is enough air flow to take the cleaner all through the engine inlet system .... you don't want the gas building up in the intercooler at the other end of pipe B. You will find the motor will start to use the cleaner as fuel and will speed up. That's Ok, just stop spraying and resume when the motor slows down. Please correct me if I am wrong...but from what I have read, this 'treatment' needs to be done on an engine that is hot. *Half the spray goes into 'Pipe B' while the motor is off. *Wait 10-15mins before starting the engine to give the cleaner a chance to do its thing. *Then, when it starts, spray the rest of the contents in whilst keeping the revs at 1500rpm (as nzenigma said). *Once the can is empty, idle the engine until the smoke disappears, re-connect clamps and bolts etc and take for a drive. *After the drive, do your oil and filter change. Does all of this sound correct? I have had an EGR plate (with hole) fitted at 80K, which was only 3K ago. I hope to do the upper engine cleaner treatment just before the next oil and filter change, which is due at 85K. With the plate fitted and the upper engine treatment done, would you expect to need to do the upper engine clean on the diesel i30 again? If so, how frequently? By the way....I commend you on your nice spotless engine bay! Thanks I polish it daily. Yes you have the correct procedure . Some advise to spray half in while running, leave motor off, then use the rest at 1500rpm. If Subaru is advising motor off, then make sure you lift the flap and spray directly down into the inlet manifold at point 'B'. Not the pipe. With the plate fitted, the air flow should be sufficient to deal with the ERG deposits. I just went out to my car to survey the situation in readiness for an upper engine clean. The clamp holding the rubber 'Pipe B' on the egine side doesn't have a slot (for a screwdriver) like other hoseclamps that I have used. How is this clamp undone? Grip the head with large pliers. Half turn and then rest by hand. Reverse to tighten. That is just an cap. Take a pliers and pull that cap off, will reveal the real clamp hex head.. Lolll!! Sry, you have something with me?.... As you take that cap out... you can put back in. You have verry powerfull fingers iff you can moove that clip!! I will make a picture with mine...even the paint mark is in same location. I ordered the latest version of MPPS. Was cheap and i am thinking to remove the egr straight from software. Here, this kind of service is arround 300 euro. My old mpps version couldint read edc17 ecu. I am thinking to completly remove those exhaust gases to go into my engine. I will let you know! Even if i will brake my ecu lol. Hope you dodn't brick te ecu by now. To remove egr map fom ecu isn't just on/off enable/disable kind of job.